Today, on November’s last Saturday, I’m posting some random photos that I’ve deemed share-worthy. 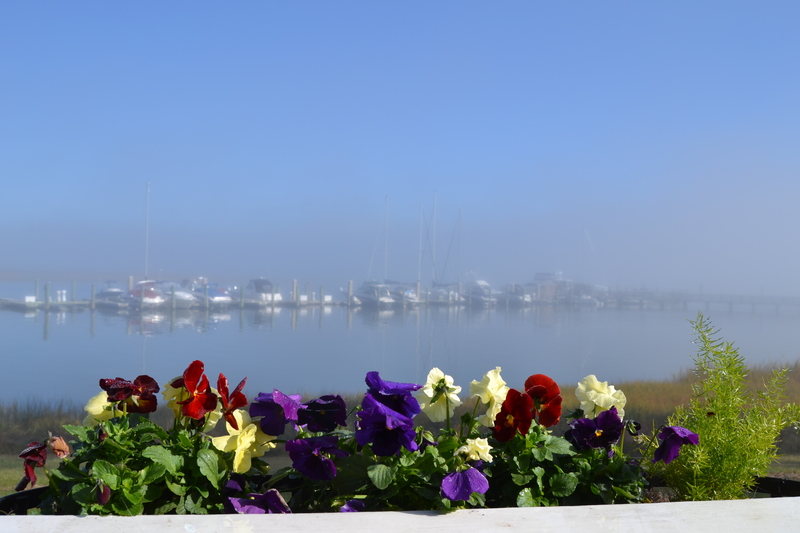 Pansies in the flower boxes on our deck on a recent foggy morning. The pansy color is “Wine and Cheese”. The sunrise on November 3. 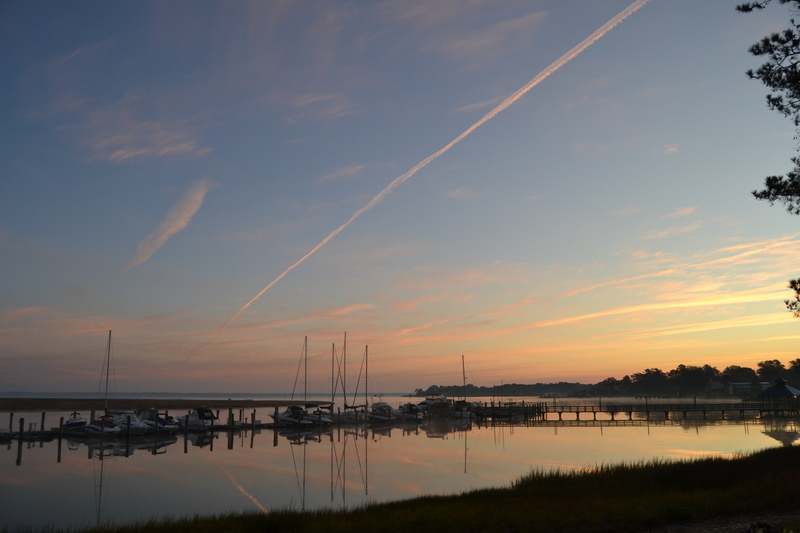 Must have been good atmospheric conditions for contrails that morning. The quality of this next photo isn’t very good (it was taken through our kitchen window). 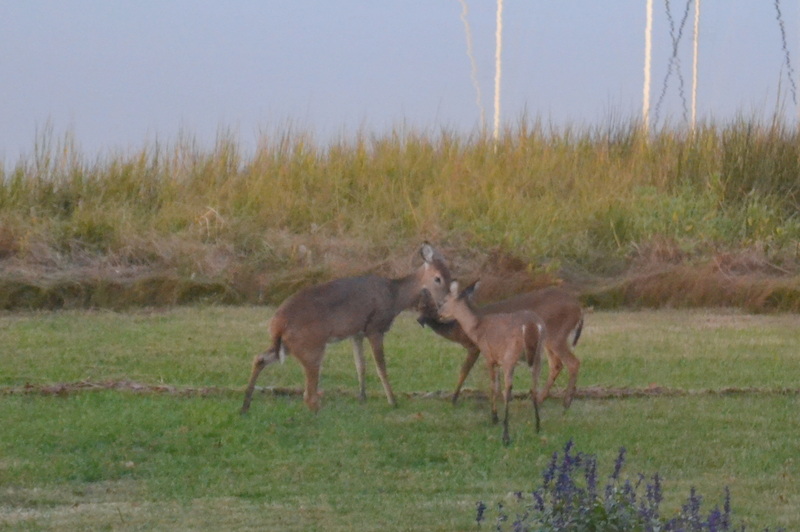 But it was such a tender moment between Mama Deer and her two little ones that I decided to share it. 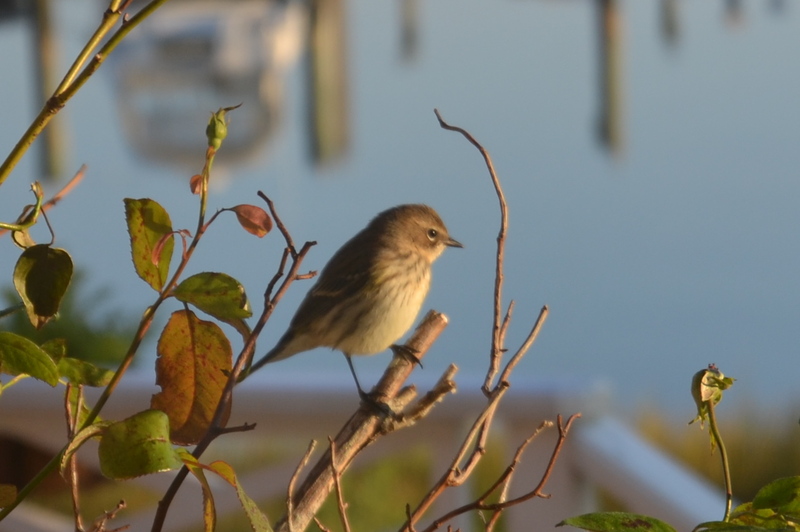 I caught this little bird one morning during golden hour. 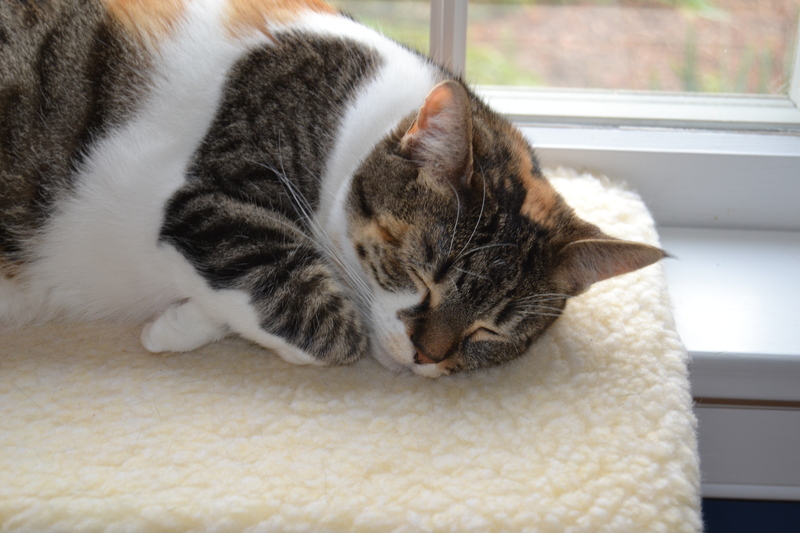 And, finally, here’s a picture showing how Sundae-girl has spent many of these beautiful November days. It’s the same way she’s spent most of the November nights.